If you are a new or existing business owner or organization and want to move to the next level, then please participate in this chat about how to "Blossom Your Business". Representatives from the SBA, CareSource, and the CDCRC will be on hand to help you get the information you need to help YOU SUCCEED. 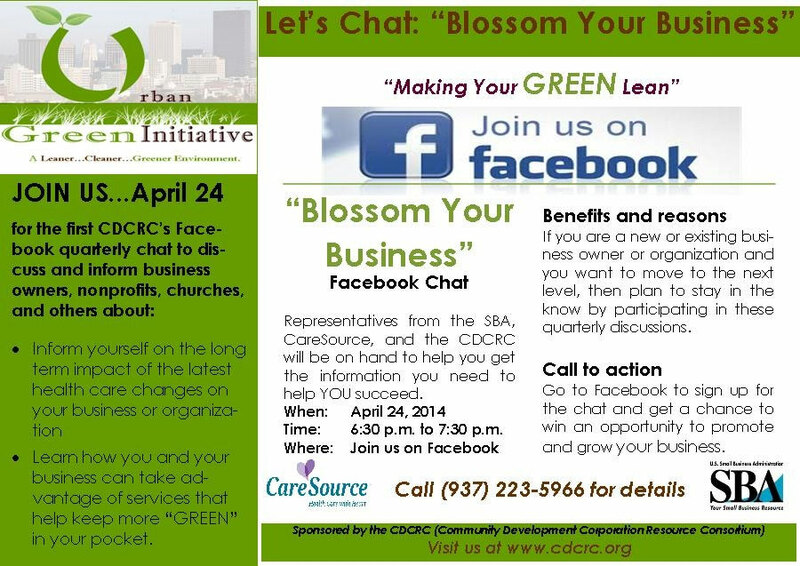 Go to Facebook to sign up for the chat and get a chance to win an opportunity to promote and grow your business. For more information, click on this link.